Psychologists from the University of Stirling have developed an innovative intervention to arrest the youth drop-out rate in Ireland’s biggest sporting organisation. And the findings of their research could have an impact on addressing similar trends in other sports. The Gaelic Athletics Association (GAA) - which covers Gaelic games such as Hurling, Football, Handball and Rounders – is highly popular, with more than 500,000 members and 20,000 teams worldwide. It had, however, identified a staggering 58 percent drop-out rate of 10,466 players aged 10-22 in 2012 and so sport academics at Scotland’s University for Sporting Excellence were commissioned on a three-year project to tackle the issue. Working with grass-roots coaches and the GAA Games Development department, they piloted the GAA Super Game Centre, tailored to provide the right blend of playing opportunities, coaching and support. Ten Centres across 10 counties were set-up, with 430 children aged 12-16 attending across the 24-week programme, enjoying small-sided games in a supportive social environment. Sport Pyschology PhD student Daragh Sheridan, a former Aston Villa FC footballer and consultant to the Irish Institute of Sport, led the research behind the pilot project, alongside School of Sport Professor David Lavallee and Dr Pete Coffee. Daragh said: “Worldwide trends reveal drop-out rate from sport at levels of 50 percent and higher from childhood to adolescence so the issue is not unique to Gaelic games. Some children might be choosing one sport over another at this time, but there are other factors which have an impact such as dissatisfaction and negative experiences. Players, parents and coaches were interviewed following the pilot to identify the efficacy of the Centres. The GAA now plans to roll-out the Super Game Centres across Ireland and integrate the findings into its national player and coach development pathway. Stirling is the leading sport university in Scotland with a wide range of sport degree programmes, sports scholarships and national training centres in Swimming, Tennis and Triathlon. 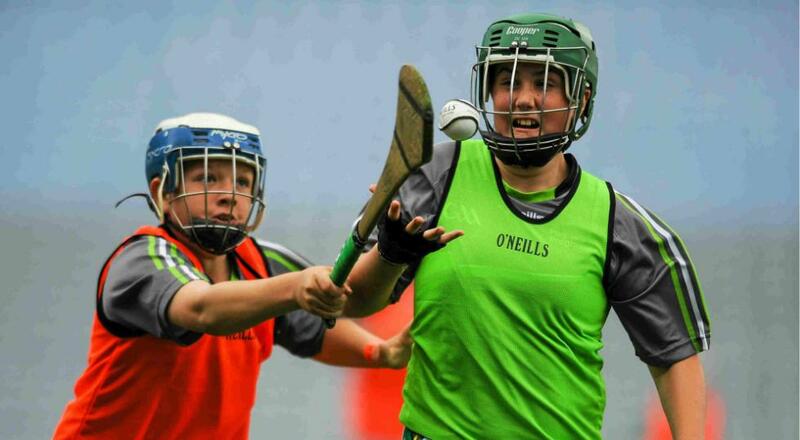 The GAA showcased the findings at Croke Park, Dublin with 190 players from 10 counties demonstrating the new small-sided format.